I’m sorry, but where on earth is this year going?! Before we know it, it’s going to be summer. Not that I'm complaining because I can't wait to spend the weekends in our garden, soaking up the rays whilst the husband plays around with his new Barbeque. 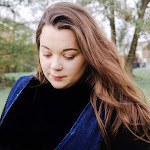 So today I will be sharing some of my favourite discoveries from April, if you want to see what made our favourite list last month, please do. Superfruits and Booster Drink Sachets (£1.10 per serving). A while back I was asked to take part in a campaign with a newly launched company called HAPS, who have created new innovative ways to improve low moods and boost wellbeing in the form of this yellow sachet of goodness. This is not just a healthy drink, there's a real science behind it. It's natural because it contains whole fruit powders and boosters which increases serotonin production naturally, rehydrates, revitalises and improves mental wellbeing. Anything that tries to boost your mood naturally has got to be a good thing right? I do have to say I cannot be sure if this trial effected my overall mood, but I can say that during the days that I had one of these I felt as if I had more energy to tackle the day, it helped my motivation that's for sure. Soap and Glory 3-in-1 Daily Vitamin C Facial Wash (£8.00/350ml). I'm still getting through all my lovely gifts from Christmas and I finally got to use this little product. I'm a big soap and glory, if you didn't know. This 3-in-1 Daily Facial Wash has to be the best skin care product I have ever used. I've tried so many different types of skin care products and none have worked until I tried this one. Most skin care products make my skin go very red and become itchy but this one makes my skin feel so much better. Definitely worth the money! Oh Flora: What If I Fall? Printed Quote (£8.00 - On Sale). If any of you lovely readers follow me on my Instagram account (if not, then you need to) you will know that I am partial to a few quotes or more. I saw this beautiful quote and had to get one for my daughter's bedroom. There have so many amazing quotes on their website, I am more than sure that there will be something for everyone. But be quick because they are on sale, and I'm sure it won't be for long. How pretty are these? I don't normally buy espadrilles but how could I refuse these embellished ones. They were the perfect gift for Mother's Day from my daughter. Deichmann have teamed up with the amazing Ellie Goulding to create a footwear collection that will rock your world, and your wardrobe! Ellie’s style is unique, fun and quirky, with a dash of pop-rock thrown in for good measure so why don't you #RockYourLook with some of these beauties.